When an individual becomes the leader of a nation, they are entrusted with the power and the responsibilities that come with the position. Not only do they need to exude a presence of authority and respect, but they are a beacon of hope to light a nation and the foundation of a strengthened country. A nation's leader, therefore, needs to be honest and diligent in performing his duties, devoted towards his country and its people, humbled through his many ordeals, and determined to guide his country towards the future. There is no better person to have become one of India's newest leaders than Ram Nath Kovind. He has the character and spirit that make him ideal for the daunting yet inspiring position of being India's leader. 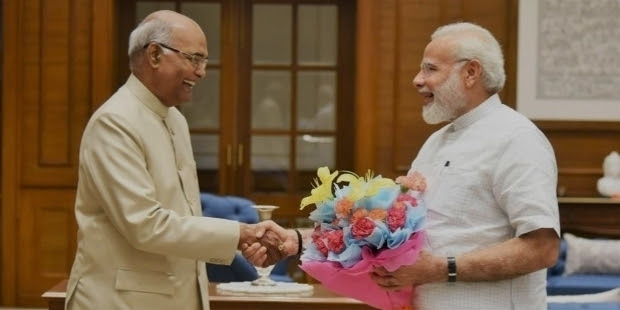 Kovind is a man who started out his career as a lawyer by being an advocate for the Central Government at Delhi High Court in 1977 all the way to 1979. He then became a permanent advocate for the Centre at the Supreme Court from 1980 until 1993. As the newly-elected President of India, he is clearly not a new face in the country's political scene. He was the former Governor of Bihar from August 16, 2015 to June 20, 2017 and was also a Member of Parliament, Rajya Sabha from April 3, 1994 to April 2, 2006. Kovind was also the chairman of the Rajya Sabha housing committee. He was then nominated as a presidential candidate and went on to win the 2017 presidential elections. He will be assuming office on the 25th of July. 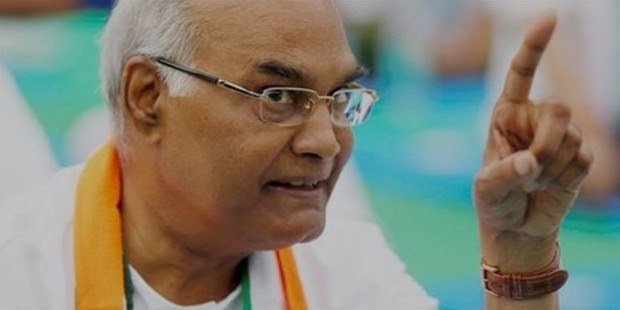 Ram Nath Kovind was born in October 1, 1945. His father Maikukal Kori, was a weaver who did not own any land for himself. He only had a small shop so that he could support his wife, five sons, and two daughters. 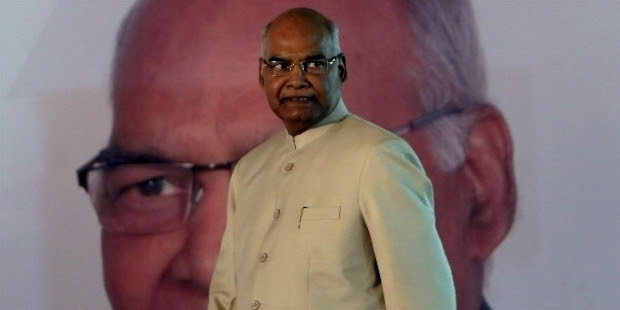 Kovind was born in a mud hut; when he was five years old, the dwelling caught fire and gave his mother burns that proved fatal. When he attended junior high, he had to walk 6 kilometers to and from his school in the Khanpur, Sandalpur block. 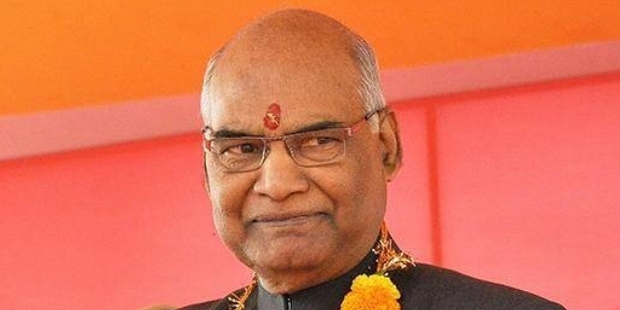 Kovind passed the intermediate exams from Kanpur and he holds a Bachelor's Degree in Commerce from DAV College, an affiliate of Kanpur University. He also earned a degree from DAV Law College, Kanpur. After, Kovind moved to the nation's capital to prepare himself for the Civil Services examinations, which took him three attempts to pass. However, he turned the job offer from Civil Services down for a position in the Allied Services where he began his practice of law. Ram Nath Kovind began his journey as a lawyer when he enrolled as an advocate for the bar council of Delhi in 1971. From 1977 to 1978, he also served as the personal assistant of the Prime Minister of India, Morarji Desai. In 1978, he became an advocate for the Supreme Court of India and provided free legal aid to the weaker sections of society: the women and the poor. He joined the BJP (Bharatiya Janata Party) in 1991. He became the party's leader from 1998 until 2002. He served as their national spokesperson as well. 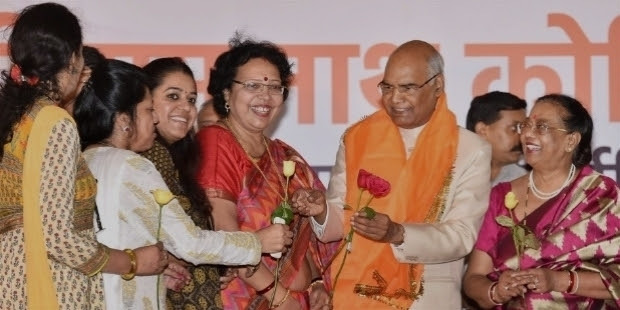 He was also the President of the All-India Koli Samaj, an ethnic Indian community..
Kovind joined the elections in the Ghatampur and the Bhognipur assembly constituents with the support of the BJP, but he ultimately lost in both. He was also a member of Rajya Sabha from the state of Uttar Pradesh from April 1994 until March 2006. As a member, he served the Parliamentary Committee for Welfare of Scheduled Castes/Tribes, Home Affairs, Petroleum and Natural Gas, Social Justice and Empowerment, Law and Justice. He also went on study tours in Thailand, Nepal, Pakistan, Singapore, Germany, Switzerland, France, the United Kingdom and the United States during his time as a member of the Rajya Sabha. On August 8, 2015, Kovind was appointed as the 36th Governor of Bihar by the President of India. 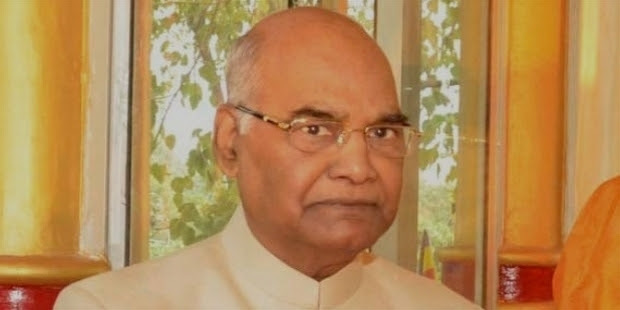 The Chief Minister of Bihar hailed Kovind as an “ideal governor"—impartial, a stickler for constitutional propriety and unlike many of his predecessors because he always consulted by the Chief Minister. He was nominated to run and become the 14th President of India. This led to him to resign from his his post as the Governor of Bihar on June 20, 2017. He then won the election on July 20, 2017 after receiving 65.56% of the total votes. Kovind's journey from being a poor villager to becoming one of the leaders of India is a success in itself. Though he has had many hardships throughout his life, he has endured all of them and won the respect and admiration of his nation. The people of his home village, Paraunkh, have celebrated like never before; they were constantly sending prayers to the goddess Pathri Devi as support for their village sons. His difficult yet humble upringing influenced his leadership style and consequently, his legacy. 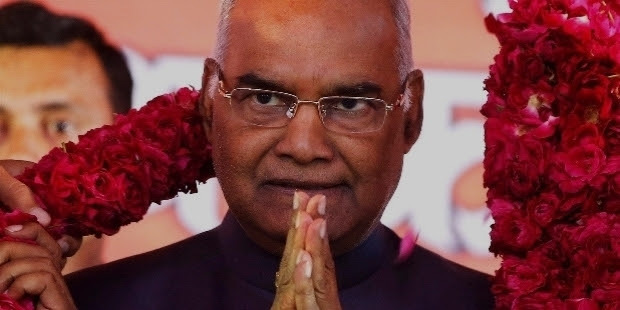 To show appreciation for his village's support, Kovind developed Paraunkh into an ideal village by using MP funds for projects that would give it paved roads, high school for girls, a State Bank of India branch, and electricity meters in every house. He even donated his ancestral home to the village. His old home is now a community center which offers its services free-of-charge to everyone who lives in the village. He has even extended the development to Kanpur City, where barren lands have become some of the best places to live in. Many have spoken of how quiet, humble, and modest Kovind is. His Patna Raj Bhavan had never even seen him lose his temper, nor refuse an invitation from the staff. He is a man who does not forget who he is, where he came from, and what led him to where he is now. He is truly an ideal politician who devoutly follows the rules. Being a man of integrity, India could not have asked for a better leader to lead them into a new age. Most Expensive Private Homes in the U.S.